Below, watch Adam West, star of the 1960s Batman TV series, choose the best Batman actor and rank the rest. West guest starred as himself on the 200th episode of The Big Bang Theory TV series, just last week. In the episode, “The Celebration Experimentation,” Amy (Mayim Bialik) persuades Sheldon (Jim Parsons) to celebrate his birthday for the first time since he was a kid. Leonard (Johnny Galecki), Howard (Simon Helberg), and Raj (Kunal Nayyar) get Adam West to attend, to try an make the party especially memorable for Sheldon. In the car with Leonard, Howard, Raj, the subject of the best Batman arises. West says even his poodles think Christian Bale is overrated. According to Raj, Keaton should be number one, because he brought a sense of humor to the role. West reminded the guys that, unlike Bale, he never had to say, “I’m Batman.” Wherever he went he was recognized as such, even at Julie Newmar’s bungalow. Wink wink. That is enough to convince Leonard. Don’t miss what star Jim Parson has to about ending The Big Bang Theory TV show, here. Check out all our Batman TV show related articles, here. What do you think? 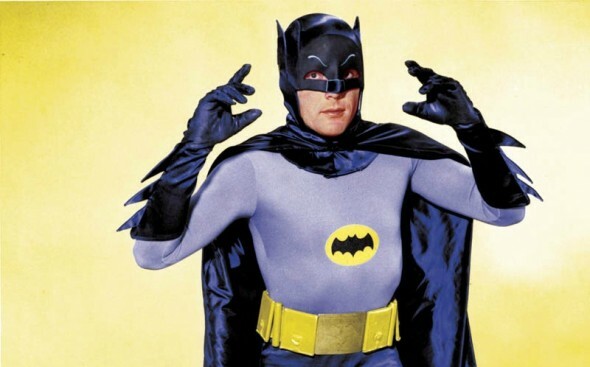 Do you agree with Adam west that he was the best Batman? Give us your list, below, in the comments. More about: Batman (1966), Batman: canceled or renewed?, The Big Bang Theory, The Big Bang Theory: canceled or renewed? Adam West “is” Batman. Nothing else matters.